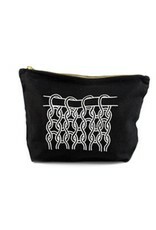 Toft Zip Project Bag KNIT - Woolly&Co. 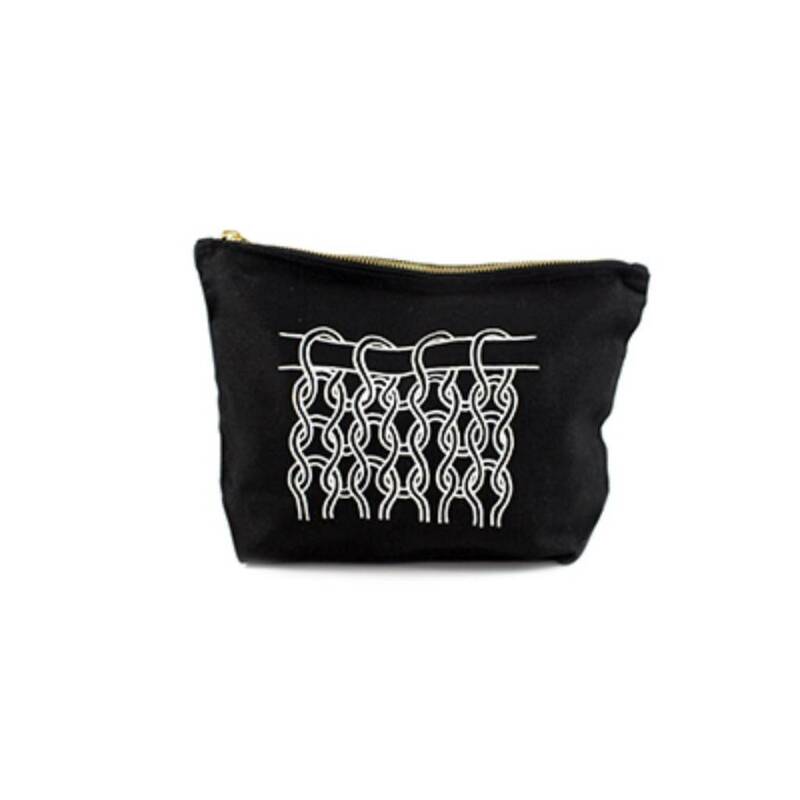 A beautiful black project bag, perfect for safely transporting your latest knitting or crochet project in style. 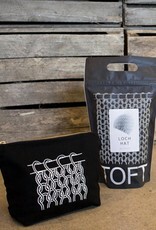 Made from a sturdy natural cotton canvas dyed black with a smooth gold zip across the top, this bag makes a great gift for any TOFT fan. 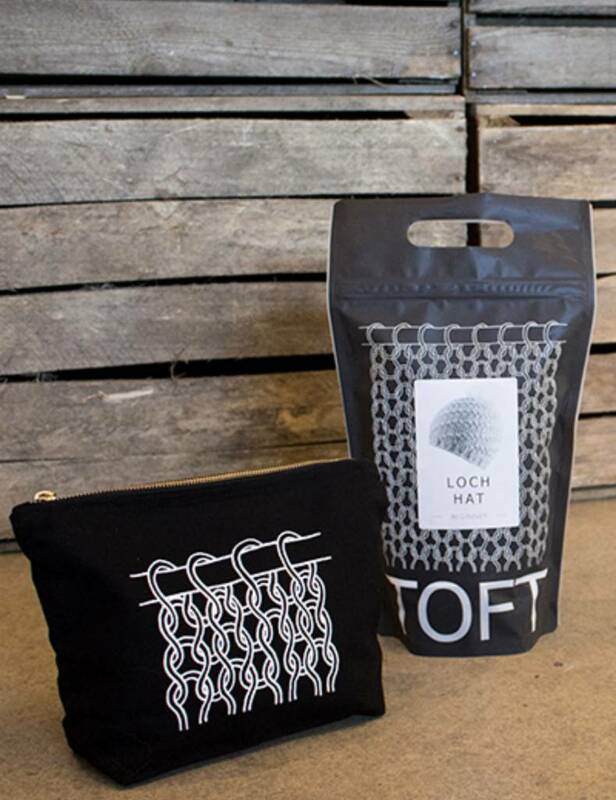 Each bag comfortably holds two of TOFT's 100g balls of DK yarn, with plenty of room to spare for knitting needles, crochet hooks, scissors, and instructions. 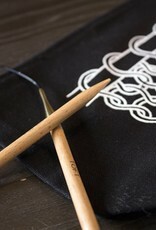 DIMENSIONS: 18cm high, 28cm long, with 8cm bottom gusset.